Aldila is the leader and premier manufacturer of high performance golf shafts and carbon fiber materials. Aldila golf shafts are found in major OEM golf clubs and sold to the public as aftermarket component shafts. 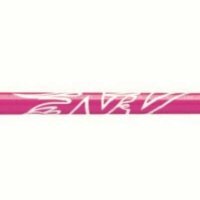 Aldila graphite shafts incorporate three innovative design technologies: Aldila Micro Laminate Shaft Technology translates into consistent shaft flex zones with no dead areas. 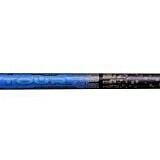 The result is a slim, stable shaft design for maximum distance, increased accuracy and improved feel. 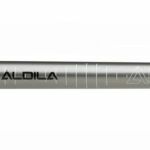 Aldila S-CORE Technology stabilizes the shaft's cross-section through the use of an internal carbon-fiber rib system, increasing the hoop stiffness by 80% over conventional graphite shafts. Aldila R.I.P. 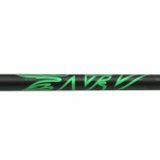 Technology with an unique composite construction to create a new and innovative shaft flex profile for maximum distance and control – the Hyperbolic Flex Zone. 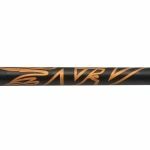 RIP Technology repositions the materials and patterns to optimize the performance characteristics of the shaft. 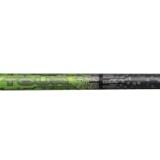 Aldila's latest flagship shaft - the Aldila Rogue - quickly became the Number One driver shaft on the PGA Tour. The Tour proven Rogue models employ 'Graphitic Carbon' with a modulus ranging from 95 MSI (million pounds per square inch) in the Rogue Black, to 110 MSI in the Rogue Silver. 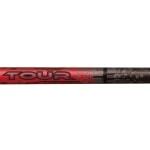 This new material makes the shaft stiffer and lower torque without adding weight. At the same time, the placement of the material in top third of the shaft (grip end) allows Aldila engineers to slightly counterbalance the shaft to work well with today's heavier driver heads and the longer club length of today's drivers. I've hit these shafts in 2 different iron heads and they just cannot be beat for the money. Great feel and stability.